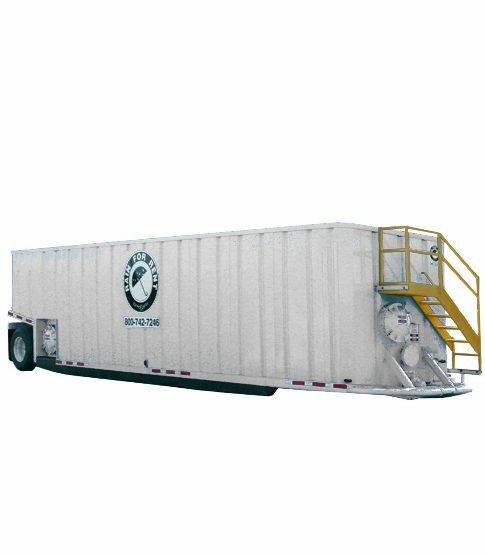 Store water for frac sites, groundwater remediation projects, or other temporary applications with this easy to clean 21,000 gallon flat top tank. This tank has a wide variety of chemical compatibility and keeps the stored product cleaner. Store liquids with confidence with Rain for Rent’s 21,000 gallon flat top tank. Permanently attached axels for maximum maneuverability allow this 21,000 gallon tank to be moved with ease on the jobsite and a safety staircase ensures proper protection for workers on site. Epoxy coating offers chemical resistance and additional cleanliness for sensitive environmental applications.